Optical signals inside a vacuum or high pressure chamber. With the help of hermetically sealed optical feedthroughs it is possible to get optical signals inside vacuum and pressure chambers. The parts can withstand pressures of up to 1000 bar and a vacuum with up to 10-8 Torr. Different types are available for single mode fibers, GI fibers, and large core multi-mode fibers (200 – 1000 µm). By default, the feedthroughs are equipped with FC/PC and FC/APC connectors for single mode fibers and with SMA connectors for multi-mode fibers. 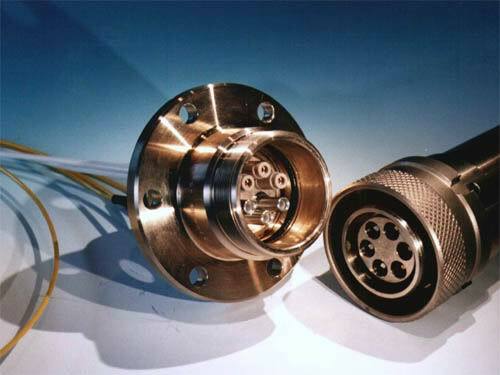 Customer specific connectors are available upon request. 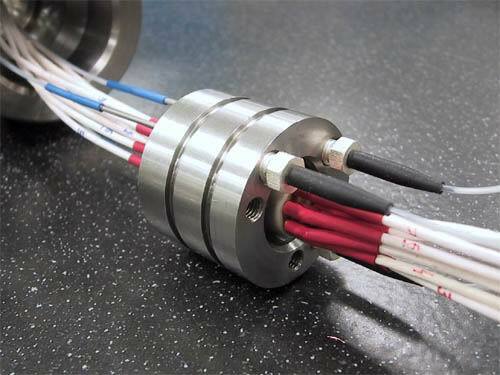 Also available upon request are special designs for single mode polarization-maintaining fibers, multi-channel feedthroughs (up to ten fibers), and hybrid feedthroughs (optical/electrical).